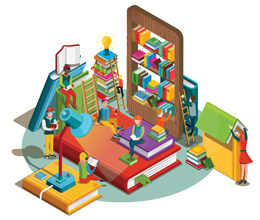 Our annual schools competition gives one lucky entrant the chance to win £5,000/€5,000 of National Book Tokens for their school - enough to buy hundreds of new books for the library. And just in case that warm, fuzzy feeling isn't enough, the winner also gets £100/€100 of National Book Tokens to spend on themself! This year's competition is launching soon - watch this space! "This prize will enable us to buy a lot of books. 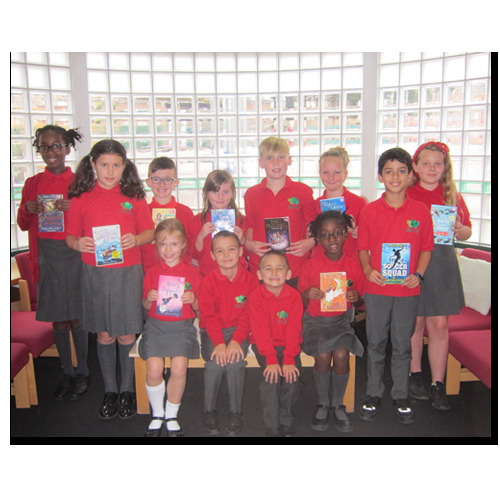 Our English team are looking forward to going on a book buying spree!" Thanks and congratulations to Sacha and her sons Lewis and Tyler, who nominated the school - and got £100 of National Book Tokens to spend on lovely books for themselves. Share this competition with teachers, school staff and parents - the more entries for your school the more chances of winning! Prizes: 1 x £5000/€5000 National Book Tokens for the nominated school + 1 x £100/€100 National Book Tokens gift card for the named entrant. Only one entry per person will be accepted, but multiple entrants may nominate the same school. The closing date is Tuesday 31st July 2018 at 11:59pm. In the event of the winner not responding when contacted via email after 14 days,we reserve the right to allocate the prize to another winner.